On behalf of Borderlands Theater would like to thank all of our Volunteers for helping make Barrio Stories, a one of a kind theatrical event. Barrio Stories could not have run so smoothly without your commitment and dedication! We would also like to thank our Donors and Sponsors for helping make Barrio Stories accessible to anyone and everyone who wanted to see it! 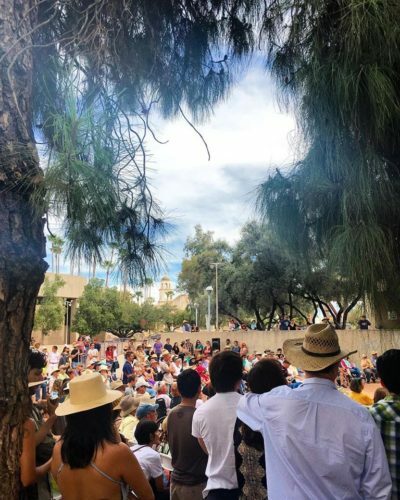 Your donation directly underwrote the cost of tickets in order for 1000 school children and 4,000+ local residents to experience the history and heritage of Tucson. Through your contributions we were able to make this ground breaking, community based event completely free to the public!